by DJ Pat Ibbetson and tes. DJ Tom Wax and Thorsten Adler are two producers well kown by their projects Arpeggiators, AWeX and Microbots. This is a detailed discography of all releases by them known by us. Bash Brothers: What Is Soul? Tom Wax & Jan Jacarta: Ready To Explode!? Tom Wax: ...And Then It Hit Me! Foxy 'n' Eagle: Foxy 'n' Eagle E.P. Banks & Sullivan: Just Rock It! Together, Thomas Wedel (thomas.wedel@darm stadt.netsurf.de) (operating under the names DJ Tom and Tom Wax) and Thorsten Adler (in the past operating under the obscure name of Atomic Robo Kid) have become well known for their rule-breaking work in house music over the past years. Operating as the Arpeggiators, they have been the pioneering force behind the "Frankfurt Trance" sound, hard and fast yet still melodic and engaging. Working as the Microbots they have made many excursions into a deeper genre, but just as well suited for the dancefloor. As AWeX they have helped to resurect the acid trance scene and have proven that Hardfloor aren't the only ones that can produce groovy acid records that are fun to listen to as well. Tom & Thorsten both hail from Darmstadt and met in high school where they shared classes and took their final exam together. From the 11th grade on they made music together in Thorsten's Bedroom. Soon they met Jörg Dewald who helped them with the production of their very first record, What A Bassline, and let them use a room in his Sound Everest studio which they called Noise Development Lab 2. A few years later, Jörg moved into a new studio together with Nosie Katzmann (Get Into Magic Studios) and left all of Sound Everest to Tom & Thorsten, which they rechristened Phuture Wax Soundlab. In December of 1996 they moved into a new studio which will also be called Phuture Wax Soundlab. Although Jörg isn't involved with any of their projects anymore, he occasionally collaborates on productions from time to time, for example the club smash remix of Erasure's Always (as Men Behind) and the ultra-chilled What Is Sound. Tom Wax, Thorsten Adler und Tom Keil have founded a new project: Shootingstar Records. After several years as producers in the techno/house/dance area they've installed a new platform for their own and other artist's productions. 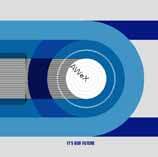 Well-known projects like Microbots, Arpeggiators and AWeX, as well as new collaborations (e.g. with Norman Feller a.k.a. Terry Lee Brown Jr.) will be released on Shootingstar Records. Distribution by Discomania / DMD in Germany. 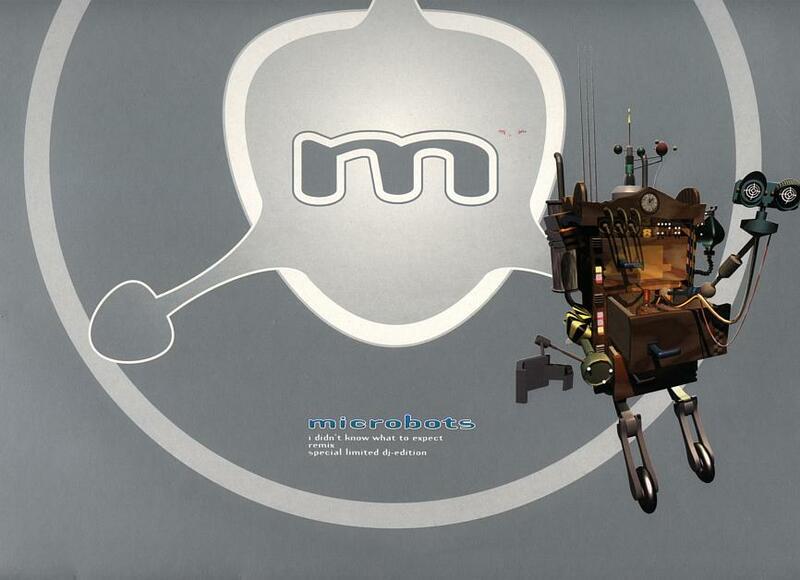 One month after the first Microbots record hit the streets, Freedom Of Expression was released on Sven Väth's Harthouse label. The title track went on to define what was to become the Harthouse sound for many years: no nonsense and just plain trippy. Trancemission, the other hard-trancer on the first 12", went onto demolish more dancefloors than anybody can count. While Thorsten was pursuing other projects, Thomas was A+R Manager for Eye-Q. 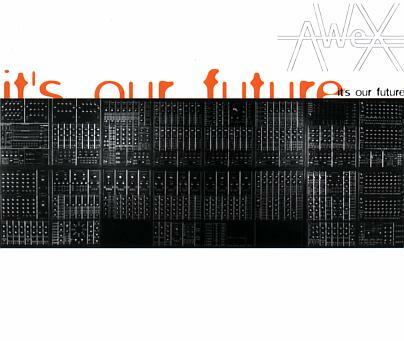 In 1993 Trance Europe Express reported that the Arpeggiators were next in line after Hardfloor to release a much anticipated full length album. Tom and Thorsten spent many hours in the studio and after much hard work the Arpeggiators album was completed. 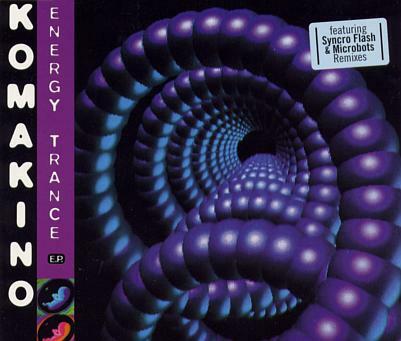 The tracks spanned a wide range of house music, from ultra- mystical Nu Energy tracks to throbbing full-on trancers. However, somebody at Eye-Q didn't want to push the boundaries at the time, and only four of the album tracks were released, as the Elements EP. Tom & Thorsten have reecently completed work on an album of entirely new Arpeggiators material and they are predicting a release sometime early next year. Tom & Thorsten now own the rights to all of the material released on Eye Q, and along with other possibilities, there may be a re-release of Freedom Of Expression, perhaps with new remixes. Written by Thomas Wedel/Thorsten Adler. Published by Cheyenne/Neue Welt Musikverlag. Produced by DJ Tom Wax & Thorsten Adler. Engineered by Jörg Dewald. Vocals by Maiki. Written by Thomas Wedel/Thorsten Adler. Published by Moonquake/BMG/UFA. Produced by DJ Tom Wax & Thorsten Adler. Engineered by Jörg Dewald. Vocals by Maiki. Written by Thomas Wedel/Thorsten Adler. Published by Moonquake/Musikedition Discoton. Produced by DJ Tom Wax & Thorsten Adler. Engineered by Jörg Dewald. Vocals by Maiki. Written by Thomas Wedel/Thorsten Adler. Published by Moonquake/Musikedition Discoton except Trancemission by Cheyenne/Neue Welt Musikverlag. Produced by DJ Tom Wax & Thorsten Adler. Published by Moonquake/Musikedition Discoton except Discover Your Innerself by Moonquake/Musikedition Discoton/Songs Of Logic. 1,3,6 produced by DJ Tom Wax & Thorsten Adler, 2,4,5 produced by DJ Tom Wax, Thorsten Adler & Jöerg Dewald. Written by Thomas Wedel/Thorsten Adler. Produced by DJ Tom Wax & Thorsten Adler at Phuture Wax Sound Labs. Vocals by Maiki. 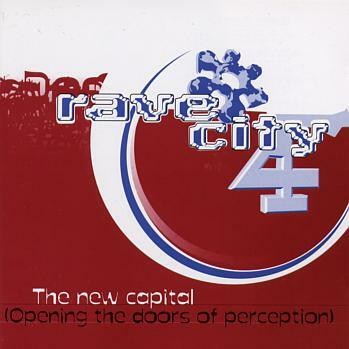 This track also appears on the "Rave City 4" compilation 2CD. Written and produced by Tom Wax & Thorsten Adler at Phuture Wax Soundlab. Published by Cheyenne / Neue Welt Musikverlag . Written and produced by Tom Wax & Thorsten Adler at Phuture Wax Soundlab. Published by Cheyenne / Neue Welt Musikverlag. Written by Jurgen Driessen. Produced by Jurgen Driessen. Written by Inga + Anette Humpe. See my Unofficial Cosmic Baby Discography for details. Music by Markus Boehme & Martin Hensing. 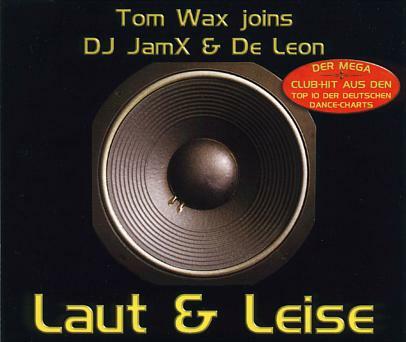 artist than DJ Tom Wax & Thorsten Adler. Unconfirmed. See my Unofficial Jam & Spoon Discography for details. See my Unofficial Mijk Van Dijk Discography for details. See also our Unofficial Norman Discography for details. 2 remixed by Arpeggiators for Adler/Wedler Prod. See our Unofficial Resistance D Discography for details. Mixed and recorded by DJ Sakin and T. Stenzel at Polaris Lab. Studio, Germany. Vocals by Janet Taylor. Music written by DJ Sakin and T. Stenzel. Lyrics written by Janet Taylor, T. Stenzel, R. Kempf, B. Breitner. Written by Oliver Lieb. Produced by Oliver Lieb. Written and produced by DJ Kid Paul (Paul M.). Since everybody and their grandmother have released a Crappy Record '97, Tom and Thorsten decided that it was time to revisit the track that put Frankfurt on the map, and this time there will be more than a thousand copies, as it has been licensed by Sony in Frankfurt! Music & samples by Thomas Wedel, Thorsten Adler. Published by Songs Of Logic. Produced by DJ Tom & Atomic Robo Kid. Engineered by JD Wood [Jörg Dewald]. Recorded & mixed at Sound Everest. Written by Thomas Wedel & Thorsten Adler. Programmed, recorded & mixed by DJ Tom, Atomic Robo Kid & JD Wood. Written by Thomas Wedel & Thorsten Adler. Published by Songs Of Logic. Programmed, recorded & mixed by DJ Tom, Atomic Robo Kid & JD Wood. Written by Thomas Wedel & Thorsten Adler except I Didn't Know What To Expect by Thomas Wedel, Thorsten Adler & Noise Katzmann. Published by Songs Of Logic/Warner/Chappell except I Didn't Know What To Expect by Songs Of Logic/Warner/Chappell/edition "Get Into Magic". Produced by DJ Tom Wax & Thorsten Adler at Noise Development Lab 2. Published by Edition Without A Doubt/Warner Chappell. Produced by DJ Tom Wax & Thorsten Adler @ Phuture Wax Soundlab. Written by Heiko Malle and Marcus Meyn. Produced by Heiko Malle. 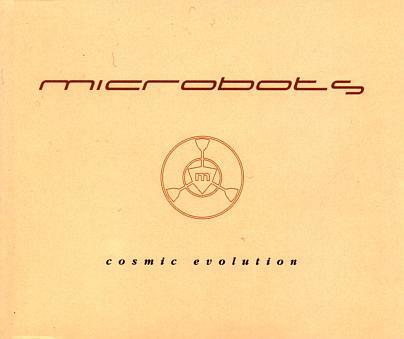 Microbots mixes remixed by DJ Tom Wax & Thorsten Adler. Microbots Remix by Tom Wax & Thorsten Adler at Phuture Wax Soundlab, Mühltahl. All trax composed & produced by Ralph Fritsch / Detlef Hastik. Recorded & mixed at Komastation. See also Komakino Home Page. Written and produced by Ron Mael and Russel Mael. Written by Miguel Abel, Konrad Best, Joachim Keil, & Frank Rohnacher. Written by Thomas Wedel & Thorsten Adler. Published by Songs Of Logic/Warner/Chappell. Produced by DJ Tom Wax & Thorsten Adler. Around the time of Cosmic Evolution and Freedom Of Expression, Tom and Thorsten also produced under the name Psycho Drums, appearing both on Overdrive and on Gent based R & S. As the success of the Microbots and Arpeggiators projects took off, Psycho Drums was left in the background. Then in 1995 they remixed Desert Storm on the new label Plastic City after an invitation by Alex Plastic. Although both of them were very busy with other projects, they finally decided to bring the Psycho Drums Project back to life again but with another name: AWeX (Adler WedeleXperiments). Only minutes after the final decision they went into their studio Noise Development Lab 2 and It's our Future was born. After excellent press rewiews, It's our Future became a massive Club and Rave hit and became one of 1995s techno anthems. The follow-up "Back on Plastic" was released in association with MCA Germany and even entered the official German charts at number 32. AWeX became one of the best known German live-acts with appearances at such colossal events as Maday X and the Energy Rave '95. Written by Thorsten "Robokid" Adler & Thomas "DJ" Wedel. Produced by Psycho Drums for Adler/Wedel Productions. Written by Thomas Wedel & Thorsten Adler. Produced by DJ Tom Wax & Thorsten Adler at Noize Development Lab 2. [A2] Remix & additional production by Tony De Vit & Simon Parkes for V2 Productions. Written and produced by DJ Tom Wax & Thorsten Adler at Phuture Wax Soundlab. Published by UCM Music Publishing / EMI Songs / Songs Of Logic. Produced by DJ Tom Wax & Thorsten Adler at Noize Development Lab 2. Available to DMC Members Only. Remixed by Merlyn and Chuck Mellow. New release, incl a "Body Mix" and a "Freak Mix". This will be released on Plastic City UK only. 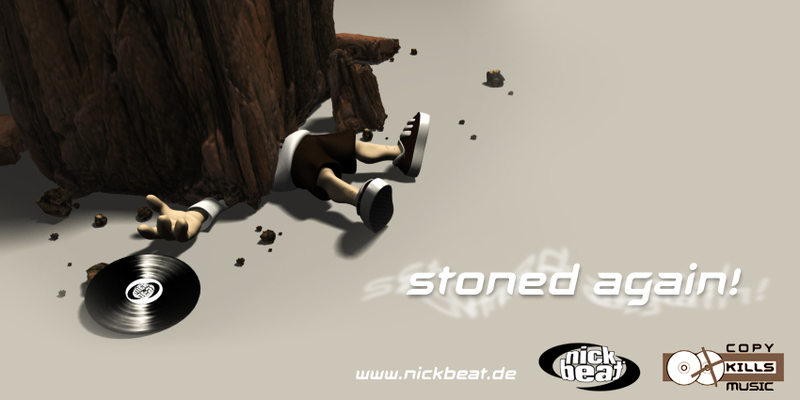 Written and produced by Tom Wax & Thorsten Adler @ Phuture Wax Soundlab. Music & Words by Tom Wax & Thorsten Adler @ Phuture Wax Soundlab. the Red Hot Chilli Pepper Riff used in Crazy Town's "Butterfly" track. 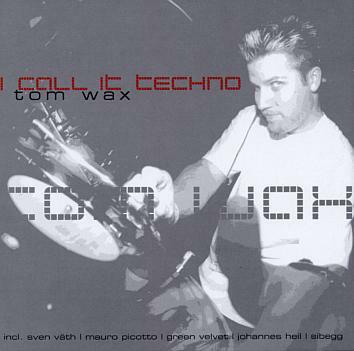 Written & produced by DJ Tom Wax & Thorsten Adler at Phuture Wax Soundlab. Licensed from Plastic City. Published by UCM music publishing/ EMI songs / Songs of Logic. Written by Atomic Robo Kid and DJ Tom (aka Thorsten Adler & Tom Wax). 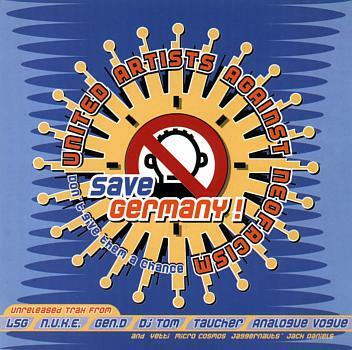 Music by Andreas Dorau, lyrics by Andreas Dorau and Tommy Eckart. AWeX (Thorsten Adler & Thomas Wedel) did a remix of this track, but it has not been released because Mark hasn't liked it. 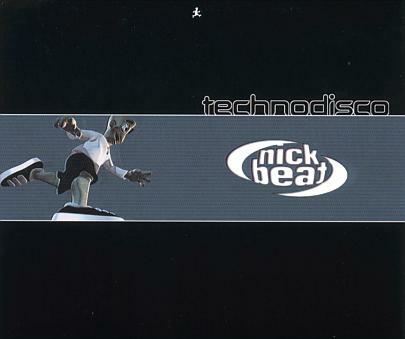 Incl AWeX Remix, to be released on Caus'n'Effect Recordings in September 2001. See our Unofficial Lectric Cargo Discography for details. Mark'Oh: Droste, Hörst Du Mich! 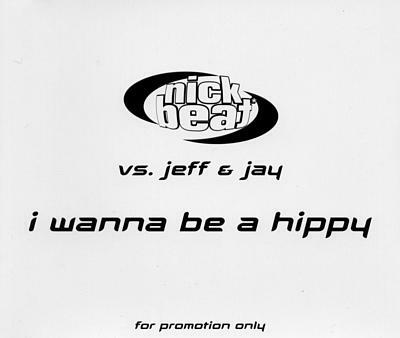 Incl AWeX Remix, to be released on Superstar Recordings in September 2001. Written & produced by O. Abbeloos & L. Foort. on "Quadrophonia '98 Remixes Part 2"
See Obsidian's Unofficial Shamen Discography for more details about releases by The Shamen. Music by Boris Blank. Lyrics & vocals by Dieter Meier. Published by Warner/Chappell. Produced by YELLO. See Yello Discography by Ernie Longmire (Lazlo Nibble) for more details about Yello releases. Published by Heij music/Ratel Music. Meng's Theme was originally released on R&S records as RS94060 but at least three of the remixes done were not released by R&S. Music and samples by DJ Tom, Mephisto III, Supremacy B, JD Wood. Written by Thomas Wedel & Thorsten Adler. Produced by DJ Tom Wax & Thorsten Adler. Written by Pat Banks, Lex Luther & Wilvonseder. Published by Songs Of Logic/Warner Chappell. Produced by Adler, Wedel & Wilvonseder. Recoded & mixed & Noise Development Lab 2. Written by Thomas Wedel,Thorsten Adler, JD Wood & Supremacy B. Published by Tewewe. Produced by DJ Tom, Atomic Robo Kid, DJ Wood & Supremacy B at Sound Everest. This is slated to be released as Shooting Star 3 but there are no firm plans on a release date as of yet. Written and produced by DJ Tom Wax/Thorsten Adler/Thomas Keil. Produced by DJ Tom Wax & Thorsten Adler at Phuture Wax Soundlab, Mühltahl . Releases on ZYX records, incl. Tom Wax & Thorsten Adler Remixes. Tom and fellow DJ Norman Feller, whom were good friends for a long time, finally got together in the studio to make a record for Overdrive. Their first release as DJ Tom & Norman Tales Of Mystery did so well that Frankfurt based Dance Pool licensed the 12" and soonafter international success followed. 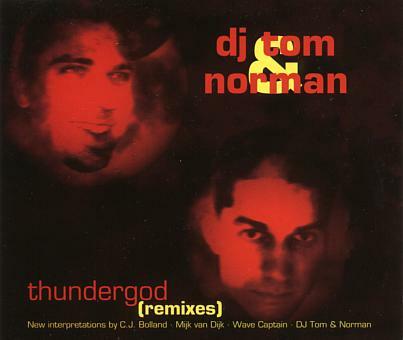 DJ Tom & Norman records have ranged in styles from the mystical nu energy of Bass 4 Love, another worldwide smash, to the hard driving acid of Thundergod. 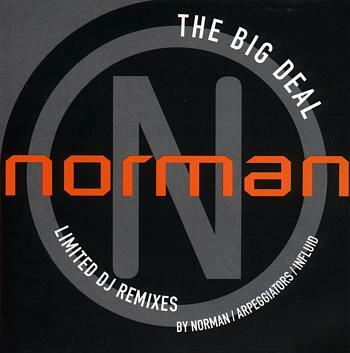 DJ Tom & Norman remixes have been in demand since the first playing of Tales Of Mystery and they have gone on to remix everything from commercial releases such as Culture Beat and Jam & Spoon to underground records that may never see the light of day such as Hardfloor and Mark N-R-G. Written by Thomas Wedel, Norman Feller & Richard Witte except Circle Of Tides by Thomas Wedel & Norman Feller. 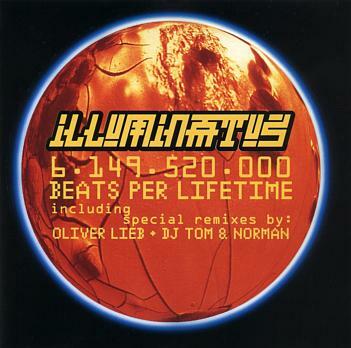 Produced by DJ Tom Wax, Norman Feller & Jack U. Rebels. Recorded and mixed by Richard Witte & Jack U. Rebels. Written by Thomas Wedel, Norman Feller & Legado except Be Slave Of Your Desire by Thomas Wedel & Norman Feller. Produced by Jack U. Rebels. Recorded and mixed by Richard Witte & Jack U. Rebels at Powerstation. Written by Thomas Wedel & Norman Feller. Produced by DJ Tom Wax & Norman Feller at BPM Studios. The tracks were recorded almost a year ago but Tom and Norman have had trouble finding a good home for them, so they have decided to make Shadowman the third in the excellent series of Wax Scientists releases on Phuture Wax and this record will be one of the first to be released next year. Developed, arranged and produced at Attic Studios by DJ Armin "Jeff" Johnert and Dennis Pierre Sarratou. Written by Mark N-R-G. 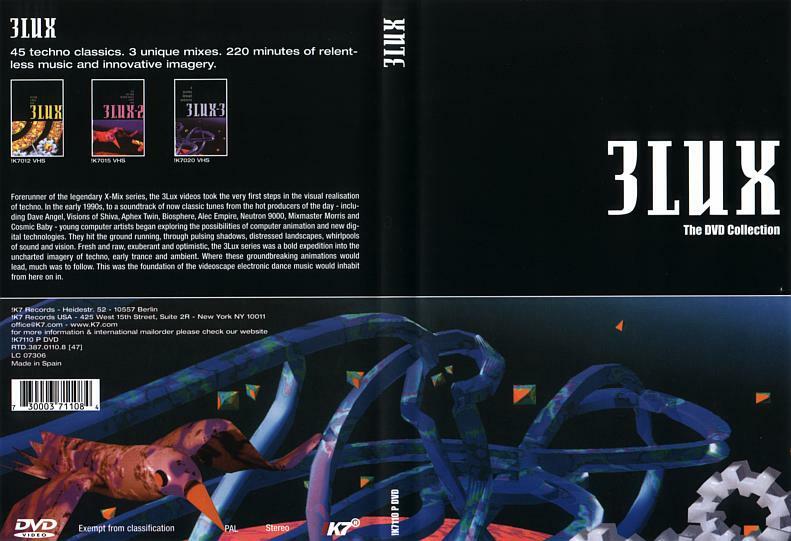 Published by Beat Disaster Publishing. Produced by Mark N-R-G. Written by Bernd Augustinski. Produced by Bernd Augustinski. Written & composed by Talla 2XLC & Vernon B. Produced by "Vernon" & T2XLC at Tetsuo Sound Lab. 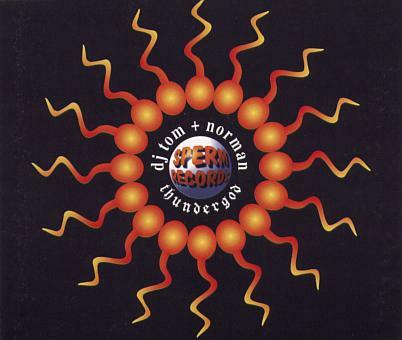 DJ Tom & Norman: ? Toja and Electric Nature are projects of DJ Tom Wax and fellow DJ from Darmstadt Jan Friedrich, who DJs as Jan Jacarta. Written by Thomas Wedel & Jan Friedrich. 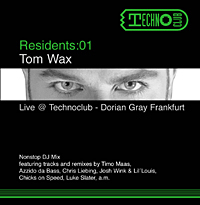 Produced by DJ Tom Wax & Jan Friedrich at Phuture Wax Soundlab. Music & words by Tom Wax & Jan Jacarta. Music & words by Tom Wax & Jan Jacarta. Produced by T. Wedel & J. Friedrich. 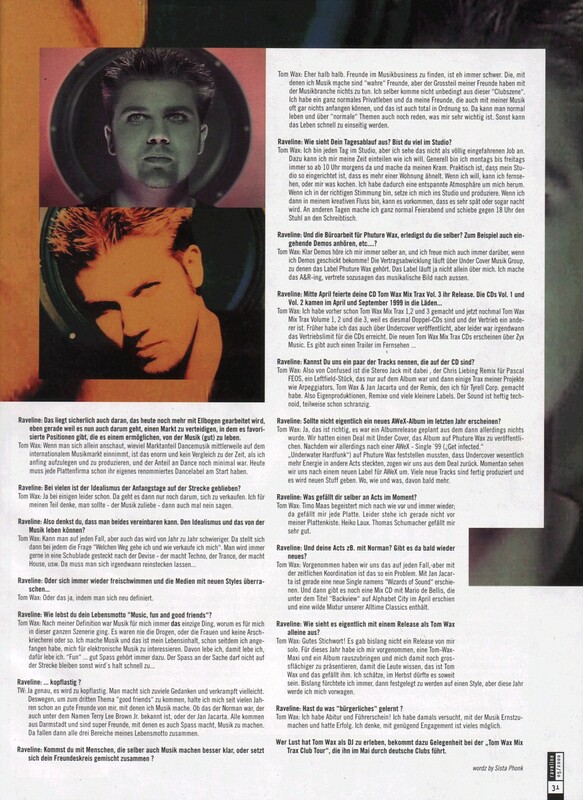 Tom was unhappy with the sound quality on the B side, so it was decided that Club Mix and Original Mix would be kept, while the Extended Mix would be taken off to allow for a better pressing of the B side. Written & produced by Tom Wax and Jan Jacarta at Phuture Wax Soundlab. Produced by DJ Tom Wax & Jan Jacarta. Published by Without A Doubt / Warner Chappell. Words and music by Tom Wax & Jan Jacarta. Produced by T.Wedel & J.Friedrich. 3 remixed by Tom Wax & Jan Jacarta. Written & produced by Tom Wax and Jan Jacarta. Music & Words by Tom Wax & Jan Jacarta @ Phuture Wax Soundlab. Produced by Thomas Wedel & Jan Friedrich for Toja Productions / Germany. Published by Edition Phuture Wax / Universal Music Publishing. Lyrics by Joi Cardwell. Written by Joi Cardwell and Hani. Produced by Hani. Music written, programmed, mixed and recorded by Hani at Num Sound, NYC. Written by Stefan Bodzin & Kim Lacour. Produced by C.O.P. Project. C.O.P. Project are: Cassius Clemens, Olli Oaks, Senad Deumic (DJ Sen@d), Peter Heinz (DJ Pi), Elmar Federkeil. Note: Tracklisting as on CD, not as on cover which is wrong. Written by Tobias Menguser & J. Hierbath. Published by UCM/EMI/Get Into Magic/Warner Chappell. Produced by Tobias Menguser & J. Hierbath. Written by Thomas Wedel & Urs Krämer. Published by Low Spirit Music/BMG UFA. 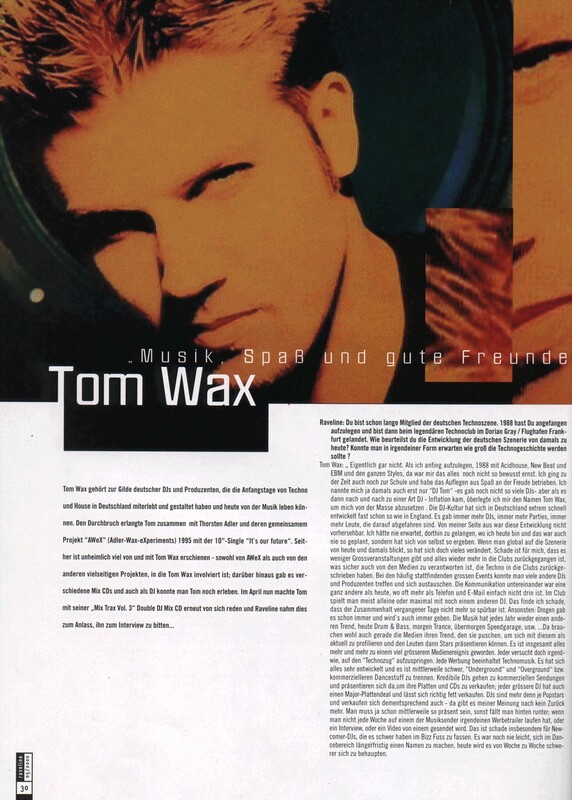 Produced by DJ Tom Wax & Urs Krämer. Thomas has been involved in many other projects on the side. As one of Europe's foremost trance Djs, he is constantly travelling. When he can find the time, he works on underground projects like DJ Tom & Norman and Toja, as well as running the Pfungstadt based Phuture Wax label which he founded at the end of 1994. All trax by Thomas Wedel & Frank Cochois at Phuture Wax Soundlab. Written & produced by Tom Wax, Talla 2XLC, Vernon B. Track 6 remixed by Gary D.
Music by Thomas Wedel. Words by William Arthur Brown Jr. Produced by Tom Wax @ Phuture Wax Soundlab. Music & words by Tom Wax, Dominik de Leon & Jürgen Mutschall. All trax produced by Tom Wax, DJ JamX & De Leon for JMX Music Productions, Koblenz Germany. Published by Step By Step / Copyright Control. Music + words by Tom Wax, Jan Jacarta, Bill Brown @ Phuture Wax Soundlab. Music + words by Tom Wax, Jan Jacarta @ Phuture Wax Soundlab. Vocals by Bill Brown. This is a continuous mix CD. This is a continuous DJ mix double CD, mixed by Talla 2XLC and Tom Wax. Continuous DJ mix double CD, mixed by Tom Wax + Gee Moore. Mixed by Tom Wax @ Phuture Wax Soundlab. CD1: "The 5th Step Into Future"
CD2: "The Past - The Best Of Phuture Wax"
Recorded & mixed by Tom Wax. 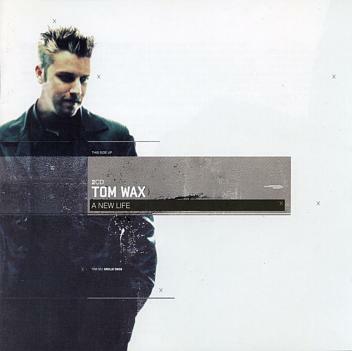 Compiled & mixed by Tom Wax. 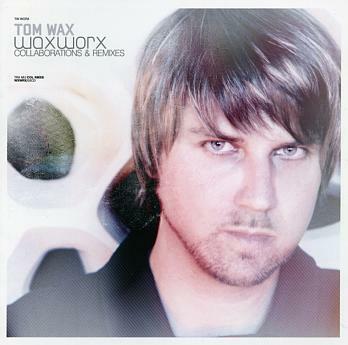 Compiled & mixed by Tom Wax @ Phuture Wax Soundlab. 05:08  CHRIS LIEBING: Next Try E.P. 08:37  ...And Then It Hit Me! Written by Tom Wax & Thorsten Adler. Mixed & produced by DJ Tom Wax & Thorsten Adler. Published by Songs of Logic/Copyright Control. Licensed by DJ Tom Wax. 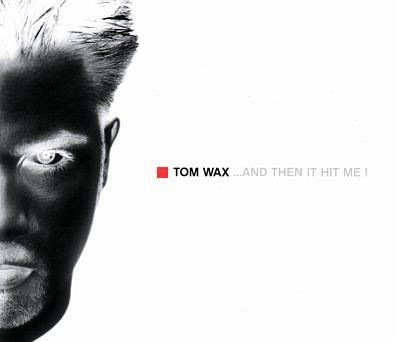 Tom Wax: Sounds Like Phuture! Written & Produced by DJ Tom Wax. Licensed from Tom Wax. Copyright Control. Written & produced by DJ Mellow-D. Written by Jens Zimmerman and Nosie Katzmann. Produced by Torsten Fenslau and Jens Zimmermann. Development by Jens Zimmermann. Breath of life by Nosie Katzmann. Originally constructed at paraDOX studios Darmstadt Published by Abfahrt Publishing/Get Into Magic Musikverlag / Warner Chappell. 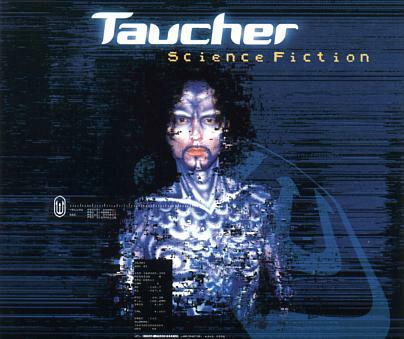 Music by AttackII / Jörg Wagner / Tom Jacques G.Coin / Thorsten Adler. Words by Tony Dawson-Harrison / Jörg Wagner. Produced by DMP [Attack II, Tom Jacques G. Coin & Thorsten Adler]. Details unknown, but Thorsten was involved in the production. Music & words by Attack II, Tom Jacques G. Coin, Thorsten Adler. Produced by DMP. Thorsten has from the beginning experitmented with the whole spectrum of house music, from the erie Tube Tech with Mark NRG to the world famous Captain Hollywood Project. As a solo artist, Thorsten produced the Save The Vinyl Classic Migno which quickly sold out. Written and produced by Tom Jacques G. Coin & Thorsten Adler. Published by Edition Without A Doubt/Nanseatic Edition Daam/BMG-UFA. Music by Attack II, G. Schein, N. Katzmann. Words by C. Williams, R. Williams, N. Katzmann except 03 by N. Katzmann, 04 by Thorsten Adler + Tom Jacques G. Coin. Written by Thorsten Adler & Tom Kyle [Thomas Keil]. Produced by Thorsten Adler & Tom Jacques G. Coin. Produced by Thorsten Adler & Tom Keil. Music written by Thorsten Adler, Tom Jacques G. Coin, Ralf Stehle and Dietmar Stehle. Lyrics by Carlos Peron. Published by Edition Without A Doubt/Warner Chappell, Eisenberg Edition/Hanseatic/Strange Ways, Edition Songs Of Request/BMG UFA, Copyright Control. Produced by Thorsten Adler and Tom Kyle [Thomas Keil] for A+K Music Productions & Ralf Stehle and Dietmar Stehle for Request Music. Written by Thorsten Adler & Tom Jacques G.Coin (Thomas Keil). Produced by Thorsten Adler & Tom Kyle [Thomas Keil] for A&K Music Productions. 5 remixed by Pascal F.E.O.S. Music & words by Lee Newmann and Michael Wells. Produced by Thorsten Adler & Tom Kyle [Thomas Keil] for A&K Music Productions. Written by Thorsten Adler & Joerg Dewald. Published by Songs Of Logic/Warner/Chappell. Produced by Thorsten Adler & Joerg Dewald. Written by Atomic Robo Kid, Mark N-R-G, J.U.R. Written by DJ Taucher / Ralph Armand Beck & Torsten Stenzel. Vocals by Benny Brown. Produced by DJ Taucher & Torsten Stenzel. Mixed & engineered by Torsten Stenzel @ Magic Island Studio, Ibiza. 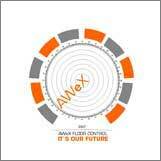 Alex Plastic (alex -AT- ucmg -DOT- com) for infos about 'Back On Plastic 10PLAC002E + 10PLAC02RR', 'Wicked Plasticmen DMC160 + AWeX Promo 5 + PLAC USA007', 'It's Our Future PLACUSA 001', 'Plastic Soundations PLACUSA 003'. Obsidian for infos about 'Freedom Of Expression 12" HH004', 'Acid Page 1-2-3 RS93020', 'Erasure: Always 12 MUTE 152', 'Shamen: Heal SHA 662843/2'. DJ Purity Control (purectrl -AT- ptd -DOT- net) for infos about 'Thundergod UK SPERM017'. Andy Davydov (nomagic -AT- trust-me -DOT- com, Andy.Davydov -AT- p15.f902.n5020.z2.fidonet -DOT- org) for infos about 'Final Exhibition DAN 478344 2', 'U96: Club Bizarre 851 893-2', 'Mark'Oh: Randy - Never Stop That Feeling 855 5071/2'. Take a look at his Discography Page. Raw & Dendy (rawico -AT- hotmail -DOT- com) for infos about 'TechnoTrax 9 ZYX 70084-2 comp. ', 'TechnoTrax 12 ZYX 81028-2 comp. ', 'TechnoTrax 10 ZYX 81003-2 comp. ', 'TechnoTrax 13 ZYX 81041-2 comp. ', 'TechnoTrax 14 ZYX 81054-2 comp. ', 'TechnoTrax 19 ZYX 81126-2 comp. ', 'TechnoTrax 20 ZYX 81139-2 comp. ', 'The History Of Techno ZYX 74004-2 comp.'. 'Mayday Rave Olympia Compilation 523007-1/2/4', 'MAYDAY X Compilation 531 239-2', 'MAYDAY The Great Coalition Compilation 529 689-2'. Elmar (ecramon -AT- stud.uni-frankfurt -DOT- de) for infos about 'Loft: Wake The World 25232', 'Intermission: Planet Love', 'Intermission: Miracle Of Love'. Jakob Langgaard (jail -AT- post6.tele -DOT- dk) for infos about 'Spirit Of The Underground Compilation'. Dominik Smasal (dominik.smasal -AT- gmx -DOT- net) for infos about 'BRAIN-e: Are you ready OVER005-12'. Tom & Thorsten for everything. This composition is Copyright 1997 - 2007 by DJ Pat Ibbetson and tes. Permission is granted to distribute this file for non-profit use in its unaltered form in electronic medias. Please ask for permission if you want to publish it under other conditions.